View More In Computer Microphones. 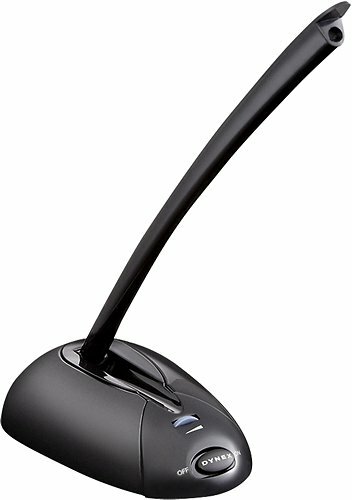 Dynex USB Microphone works with internet voice chat, video conferencing and gaming programs. Produces clear, distortion free sound; Superior clarity allows use with speech recognition and voice command applications; Stable base features LED power indicator, so you know when you're on the air. Compatibility: Windows 98SE, Windows 2000, Windows ME, Windows XP or Windows Vista, Windows 7, Mac OS 10.4 or higher; Package Includes USB Microphone and 6.6 ft USB Cable. If you have any questions about this product by Dynexâ"¢, contact us by completing and submitting the form below. If you are looking for a specif part number, please include it with your message.